Neophyte Media is a leading provider of custom developed applications. For over 8 years, we have been in the business of creating quality software products for our customers. 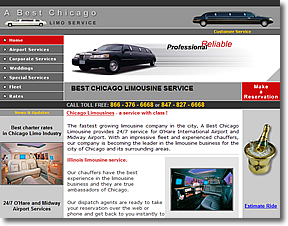 The fastest growing limousine company in the Chicago, A Best Chicago Limousine provides 24/7 service to and from O'Hare and Midway Airports.